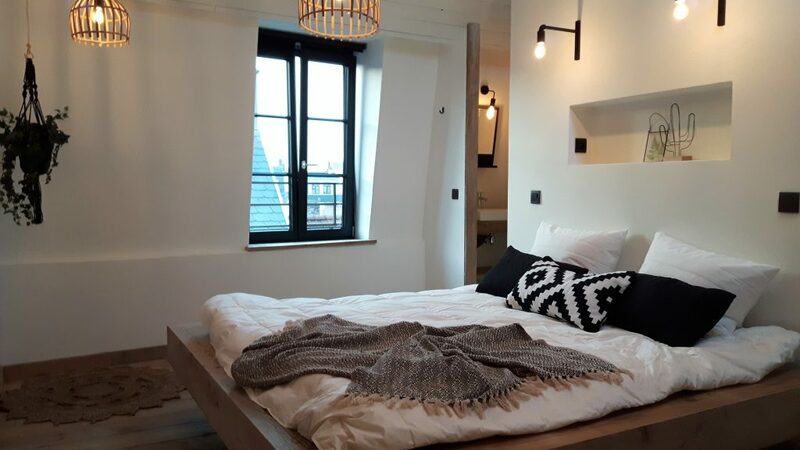 Boutique vacation rentals Antwerp with 3 bedrooms and 3 bathrooms, a private living room, kitchen and dining place. Perfect for 4 up to 10 people. All our boutique vacation rentals are rented out in its enterity, in other words you have exclusive access to the complete house. This boutique vacation rentals Antwerp is extremely well located in the center of the historical heart of Antwerp, in the fashion and shopping district, close to several museums and galleries and in a side street of the Friday Market "Vrijdagmarkt", a beautiful small square with a variety of breakfast, lunch and dinner restaurants. We guarantee you, you will not get bored! The groundfloor has a café-bistro styled private dining room and kitchen. You can use this for breakfast, lunch or diner, or can be rented for private diner parties, as a private bar or for brainstorms or workshops. The fully equipped open plan kitchen of this vacation rentals home invites you to cook yourself or to be pampered by catering at the house. Would you rather have breakfast or dinner around the corner? 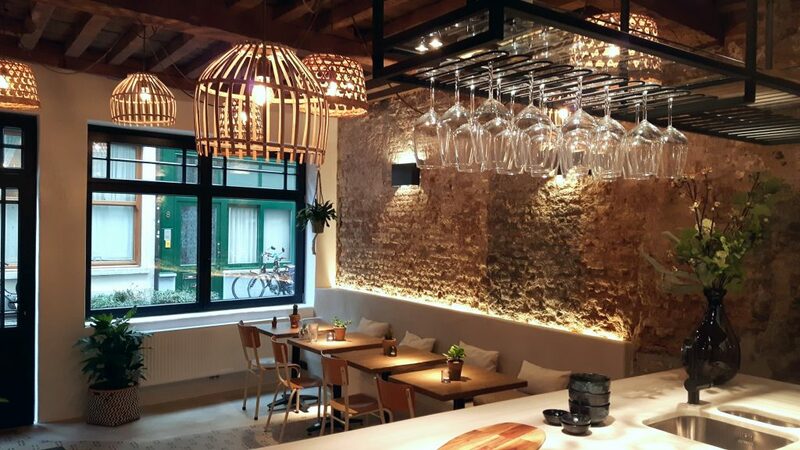 Plenty of choice nearby in the city center of Antwerp for a rich breakfast, a fast lunch, a cosy apéro or a delicious dinner. This is Antwerp at its best! The ground floor has a separate toilet and gives access to the basement with a washing machine and a drying cabinet at your disposal. 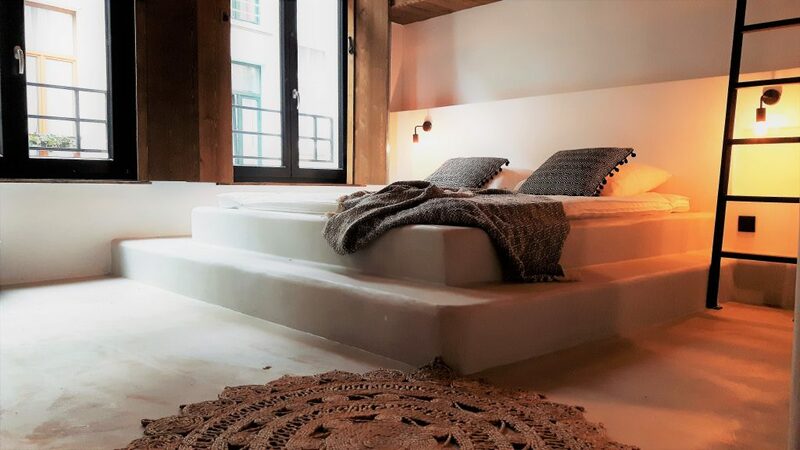 The first floor of this vacation rentals home features a spacious bedroom with king-size double bed (180 x 200cm). Via a ladder you reach two more single beds (90 x 200 cm). The bedroom has 2 washing sinks. The bedroom has a private toilet and a rain shower behind swing doors. All beds have duvet and pillows. Clean soft bedsheets and towels are provided in each bedroom. Via a ladder you can reach two more single beds (90 x 200 cm). 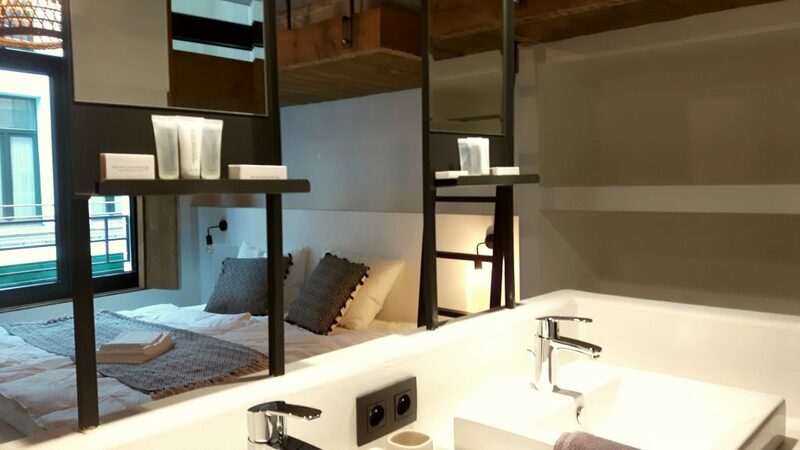 There are 2 sinks in the bedroom and via swing doors you reach a private toilet and a rain shower. This floor is a great asset to your vacation rentals home! In the cosy living area you can relax with an aperitif, watch one of the 200+ channels of the digital TV or enjoy a good movie. The large sofa and the gas fireplace will provide you with the right atmosphere. The bathroom has a lavabo, a rain shower and a separate toilet. The bed has a duvet and pillows. Soft clean sheets and towels are provided in each room. 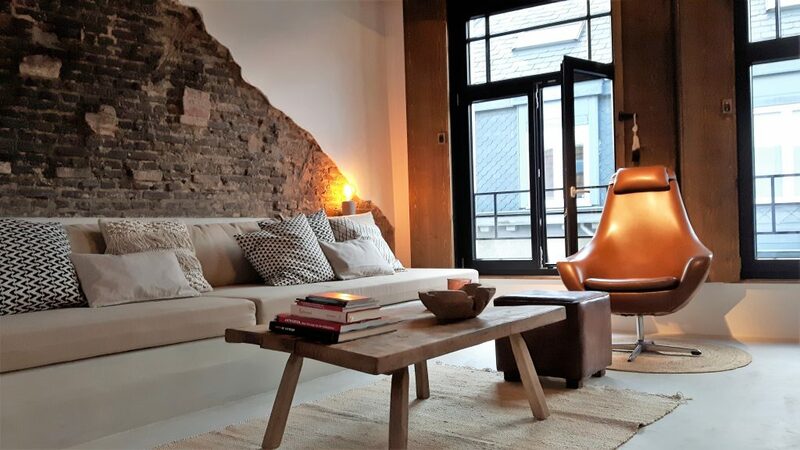 One of the best vacation rentals in Antwerp!